Jay Z and Timbaland had the copyright infringement case against them tossed by a U.S. Federal Judge before it could be handed to a jury, according to the Associated Press. 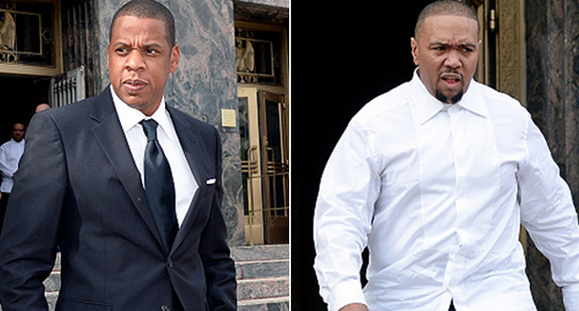 Both were in Los Angeles for the case over the sampling issue regarding their 1999 hit, “Big Pimpin." In the lawsuit filed by Osama Fahmy, he claims the pair used his uncle Baligh Hamdi’s 1960 song “Khosara Khosara” without authorization.